In my Called to Write Coaching Circle, we primarily keep track of writing minutes, not word or page counts. We do this because when we’re plotting, outlining, revising, or editing, for instance, our word and page counts won’t necessarily increase, but we are moving our books and screenplays closer to completion. Many writers chastise themselves for not writing New Words when they’re doing such work, and therefore undervalue the time they’re putting in on development and revision, two critically important stages of a writing project. Or they put the focus on writing New Words and increasing word counts and page counts … but sometimes end up writing purposeless prose, simply to stay in action with writing. I know this can come up for writers during NaNoWriMo, where the concern is often keeping the writing going to meet one’s daily word count. On the up side, keeping words flowing is a powerful way to build a habit of writing. A big obstacle for writers is getting into the practice of getting words out and onto the page. Having a “keep writing and don’t stop” mantra helps that flow get established. On the downside, I know there are many writers who struggle with what they’re left with at the end of a writing session (or a writing month, as in the case of NaNo). There are just that many more words to cull, manage, organize, and edit. This came up the other day as I was talking with one of our Coaching Circle members about how to make the most of the writing sprints we run as a part of our program. 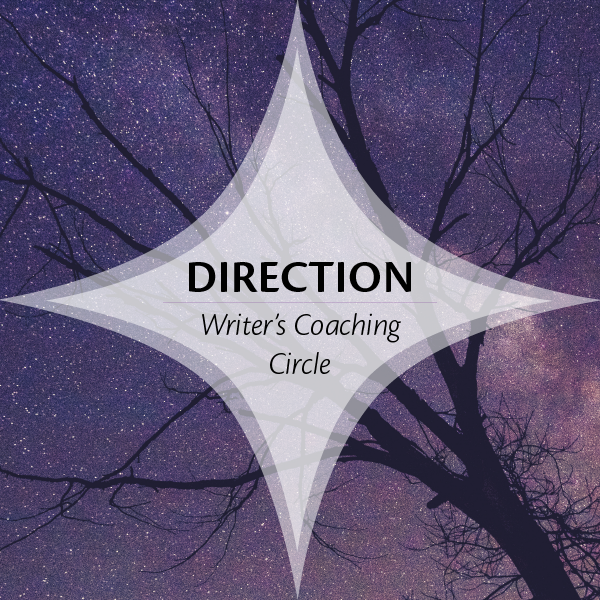 What I recommend is using writing sprints (you can do your own or join us in the Circle) for any kind of writing-centered work that moves your project forward. I still use a “keep working and don’t stop” approach, but I don’t put my attention on more words; I instead immerse myself in whatever stage of the project I’m working on that day. So if I’m in the outlining stage, I concentrate working on the outline for the full 60 minutes I’ve set aside to write, and I don’t stop or do other things until my timer dings. And yes, I write with a timer, which I highly recommend. It’s a great way to jumpstart a writing session, and it really helps a writer keep their attention on the work, rather than slipping away to other things. This works particularly well when said writer is tracking and recording their writing minutes so they know every minute counts. As an added boost of writing energy, participating in writing sprints with others super-charges the writing energy and help writers stay on track. You still have to come into the writing session or sprint with a clear intention, but the good news is that if you’re writing every day or near daily and working on one main project at a time, that’s pretty easy to do because you tend to stay clearer about what your next steps are. You can do writing sprints online or in person. I have two caveats when it comes to what counts as writing time. Caveat #1: I recommend tracking research time separately from writing time. Research can become a black hole, so it’s important to make sure you’re not endlessly researching as a form of procrastination or perfectionism disguised as procrastination (this is where you’re so worried that you’ll get it wrong that you try to read everything in your field to make sure you’re not leaving anything out). I like what Steven Pressfield recommends in Do The Work* — a “research diet” of no more than three books on your topic before you begin writing, and permission to do more research later once you’ve written your first draft and truly know what else is needed to flesh out the story. Caveat #2: Be clear on what you’re doing for development and know when to call it done so that you’re not endlessly perfecting the story before you start writing. This isn’t exactly a counting issue but it’s an important one to pay attention to. 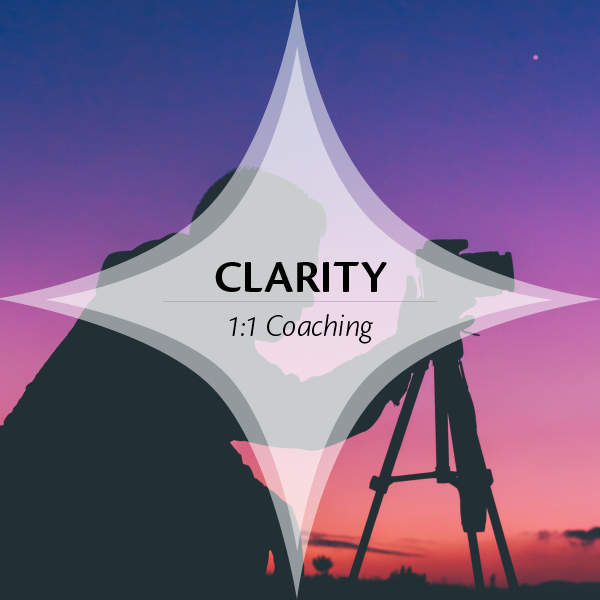 It’s easier for me to write “be clear” than it is to actually achieve that, I realize! It’s a very iterative process and knowing when you’re done requires a full-on gut check. YOU know deep down if you’re procrastinating on starting pages or if you still need to work on your deeper structure and meta work for the story. And there’s a real spectrum here too: Many of us are so nervous about spending overly long on development and self-monitoring for procrastination that we’re constantly and internally pushing ourselves to rush into pages, while others of us get stuck in perfecting mode. A good clue is this: What’s driving you to keep working? Is the story working for you, but you’re telling yourself it’s not good enough or thinking that other people won’t like it? You may be trapped in perfectionism. Take a good hard look at your work and see if there are any key issues you can work on elevating and then move forward. Alternatively if you’re thinking to yourself something like, “I don’t quite feel good about this yet but I really need to start pages,” you may want to give yourself permission to spend a little more time on the development work. Ultimately even story development and actual page writing become an iterative process themselves, so it’s true that some working out happens on the page. There’s no one right answer here (with writing, there rarely is) but tuning into your own inner knowing about what’s really going on can be illuminating. Next time I’ll share my current list of the development steps I’m using with my screenplays (and novels, it looks like!). In the meantime, if you’re holding a limited definition of what counts as writing in your own mind, I invite you to expand it. Here’s the list of everything I can think of that “counts” as writing. Hopefully it will free you up to relax a bit more into your writing process. What else would you include on this list? Have I forgotten anything? Let me know in the comments. The Writing Intensive. 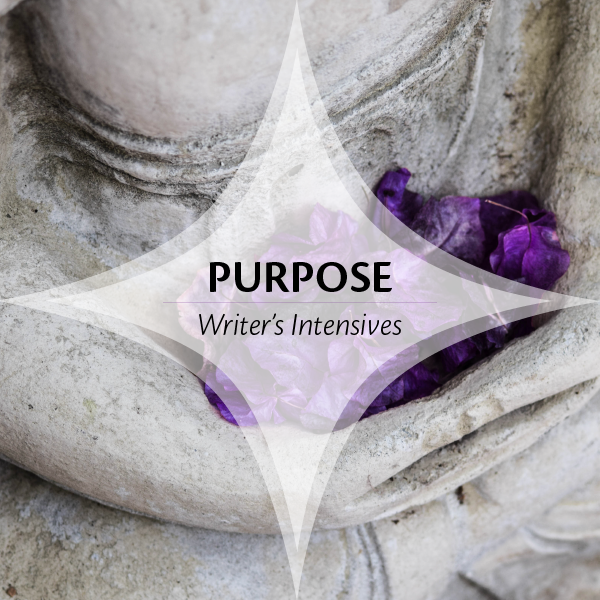 Thanks so much to all of you who participated in my recent survey about an upcoming writing intensive. I’m still collecting data if you’d like to contribute your ideas here. I’m currently thinking that I will run the intensive in October, possibly starting on October 1. This could be a great opportunity for people who want to put in a concerted effort on story development before NaNoWriMo, or are simply champing at the bit to have structured writing support for a big push on a project. Watch this space if you’re interested in joining the Intensive. 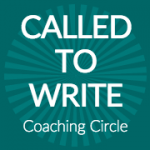 The next session of the Called to Write Coaching Circle starts on Monday, October 10th and the last day to register and join us is Thursday, October 6th by 11:59 p.m. Pacific Time. The primary difference between the Circle and the Intensive is that the Circle revolves around habit-building and year-long daily writing, whereas the Intensive is a short-term writing push. Special rates for the Intensive will be available for Circle members. Join us! Find out more and register here: http://JustDoTheWriting.com. As I mentioned in a recent post, as writers –particularly undertaking big writing projects like a book, novel, screenplay, or even NaNoWriMo! — we need to be mindful about our self-talk and keep it as encouraging and self-supportive as possible. This is because one of our main tasks (aside from doing the actual writing) is preventing the freaked out voices of fear, self-doubt, and even a little panic (!!!) at times, from stopping us. Those voices may be loud, scary, and intimidating, but it doesn’t mean they are right. As writers, we have to learn not to take them seriously and how to kick them to the curb so we can keep doing what we were put here to do. I read a powerful post the other day called, “The Power of Yet”. The core idea is to add the word “yet” to a negative thought. It takes a defeated “fixed” perspective and cranks it sideways to make room for possibility. And I’m a firm believer in the power of our subconscious minds to help us solve unsolved problems. A “yet” sets the stage for room to solve, grow, learn, discover. You may not know how yet :), but you will! I love the power of this simple mindset strategy to change how you’re approaching your writing life. It’s an “I’m still learning” stake in the ground against the forces of darkness and negativity. We all have a particular conversation that comes up when we’re feeling the doubt and facing the fear head on. It sounds different for each person, though there are common threads. The thing is, most of these comments come whizzing through our brains at lightning speed and kick us in the gut before we even know what happened. And then we’re feeling bad, not believing in ourselves and our work, and pretty soon we’re not writing for the day or even blocked. It’s like, BAM, day over. The way to change this whole pattern is to NOTICE it. Notice what your particular conversation is. That’s right. Put it on paper in black and white so you can really see it. You might notice that’s not even true! You might also notice that you’ve been hearing those same thoughts over and over and over again. No surprise there. It’s your familiar visitor, one you’ve seen before (and one you will see again). That’s what’s going on behind those mean, horrible things you’re saying to yourself. They are cleverly, evilly, insidiously designed to SHUT YOU DOWN so you don’t “get hurt”. One of the most powerful things we do on a daily basis in the Writer’s Circle is to use our online journaling system to reframe the negative messages that show up each day. The first step is to note what the negative message is. The second step is to take a look at that message in all its black and white glory and ask yourself, “How can I reframe that with a more positive perspective?” You might even want to pretend your best friend came to you saying that about herself. What would you say to her? Isn’t that a bit kinder? What’s your inner conversation like? Here’s an invitation for you. If you’re feeling brave, tell us a self-directed negative thought you’re holding about yourself as a writer by posting it in the comments. Then see how you might be able to reframe it or add the word “yet” to change it. If you need help, just say so and I’ll be your coach for the day. I got off the phone on Tuesday with some of our Writer’s Circle participants for our mid-session coaching call, and I was left with this question: to NaNo or not to NaNo? Will it be too much in my already full life? Will it give me the boost I need to get going? Can it help me feel like I’m getting a jumpstart on my writing (again)? What if I get burnt out doing it? What if it’s a ton of fun and really inspiring? Even I’m thinking about it, despite the reality of my current personal life circumstances (A 5 month old baby! A new script to write! A business to run!). 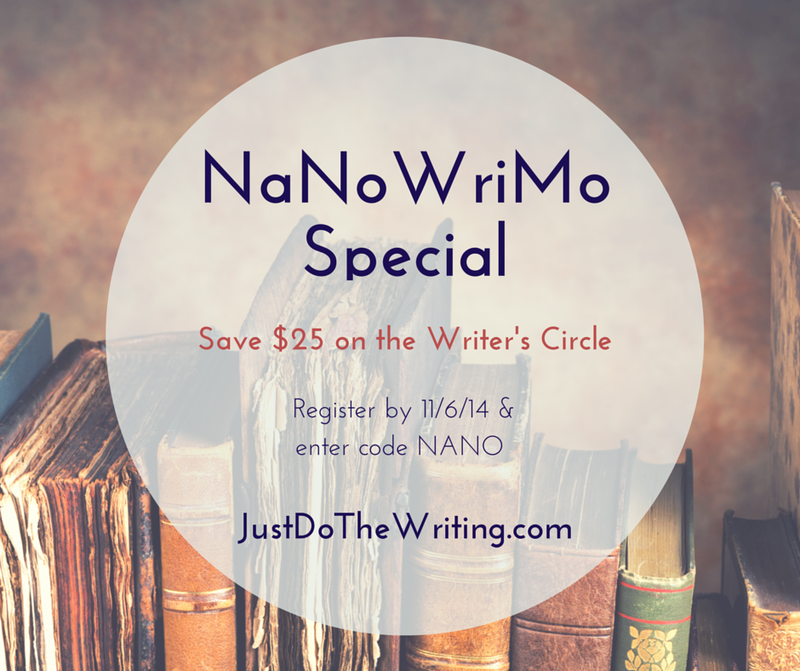 I’m especially tempted because we’ve developed some extra supports on the Writer’s Circle site for those who will be participating in both the Circle and NaNo and want more personal, intimate support than what NaNo itself offers. As I talked about last week, there are some real pros to participating in NaNo. 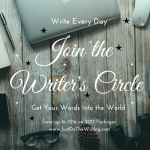 And what strikes me is that so many of us in the Circle are thinking about doing both, which speaks to an underlying desire to see rapid progress and to get a jumpstart on a big writing project. “The writing we do in NaNoWriMo can really kick up a writing practice habit, something we are committed to helping writers do in the Writer’s Circle. And you don’t have to write a novel! If you’d rather write a longish piece of non-fiction, it can help you do that, too. “I have written non-fiction, even journaled extensively during past Novembers. I love the challenge and the camaraderie that occurs when I participate. And through the years I’ve amassed a bundle of tricks that helped me survive and thrive during this world-wide write-a-thon and on into my writing life after the month of November is over. “This is the way I look at it. I hold my commitment very loosely. I want it to be fun. And I want to be surprised by the words that make their way from my brain to the page. Fast writing, without thinking about it too much, is how I am surprised. If you look at it as creative play, it might be just what you need right now. And, when we are writing fast, it doesn’t take more than about an hour or two to chalk up the words. We can write more on freer days, and less on the others. You may never use much of what you write, but you may, or you may have a breakthrough that might not have come another way. And, if you begin, decide there is absolutely no way you can do this, you can stop. Most do, so there is nothing wrong at all with that. “I participated in NaNoWriMo last year and finished. It was great, taught me a lot about writing in general and about my own way of writing. “It taught me the value of writing daily and of aiming high (2000 words a day). It taught me that most of the time the first 300 words were hard, and the first 500 even harder, but that after 700-800 it got easier as I kept going. It also taught me that if I switch off my judging brain I can still write and that how I feel about the writing, while I’m doing it, says nothing about how it turns our or whether I will be able to use it later. Sometimes ‘writing blind’ like that resulted in pieces of writing that were better than they would have ever been if I would have been consciously trying. I mainly joined to see if I could establish a habit and because I liked the challenge, but I was surprised at how much of what I wrote during that month actually ended up in the novel draft I am working on. What I find most fascinating about this is how she learned that the later words come easier. Isn’t that the truth? It’s usually the first that come painfully, unless we’re totally fired up to write (which by the way, is so much easier when we’re writing every day!). I also noticed that the experience seemed to raise her level of what’s “normal” for her in terms of daily writing. So not only could NaNo be a way to crank out one project in particular, it can also be a way to take your writing habit up a notch. So what do you think? Will you go for it? What’s factoring into the decision for you? Will you NaNo or not, this year? National Novel Writing Month, aka NaNoWriMo, starts on November 1, and writers all over the globe are already flexing their digits in anticipation of writing 50,000 words by November 30. As an advocate for and supporter of writers writing daily and year-round, I’ve had mixed feelings about the drawbacks of what could be considered a 30-day writing binge, while simultaneously feeling excited by the challenge of it (here you see my ambitious side!). But after a few years now of seeing the writers in our online Writer’s Circle participate in NaNoWriMo and thrive, I’m seeing real merit to the program. In fact, if anything, our Writer’s Circle and NaNoWriMo seem to be an excellent blend. Our writers like the challenge of NaNo but relish the extra support and “home base” the Writer’s Circle provides. 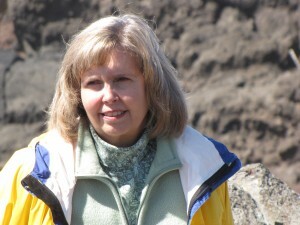 “I am glad that I participated in NaNoWriMo and that I ‘won’ (completed the 50,000). I wanted to see if I could do it and I did. But I don’t feel a great affection for what I wrote and, curiously, I have rarely dipped back into what I did write. I do know that I wouldn’t have completed the month if I were not also part of the Writers’ Circle. NaNoWriMo is really a structured competition, and although there are ways to set up a support system during the month, it is really about word count and ‘winning’. Will you take the NaNo plunge? In many ways the purpose of NaNo is the same as the Writer’s Circle’s purpose — it’s about making the writing happen. The main difference I see is that in the Circle we focus on writing year round, in a sustainable way. With NaNo, the focus is on writing intensely for a shorter duration of time. Both approaches have pros and cons. It’s inspiring to write alongside other writers, especially with the same goal. … and there’s a very clear focused goal: 50,000 words in 30 days. It helps keep you focused on one specific project instead of hopping from project to project and losing your way. Meeting a big goal in short amount of time can feel amazing and inspiring. It’s a great way to make a concerted push on a big project. When you write fast, you bypass your logical left brain and your inner critic. The results can be magical. It IS possible to write fast and write well. Writing 1,667 words every day can be a lot for some writers. Not meeting the daily goal increases the number of unwritten words as each day ticks past, which then creates pressure to catch up. Writing every day at an intense pace can lead to creative burnout and writing aversion after the big push. Some writers report writing hard during NaNoWriMo and not writing for the rest of the year. Not meeting the goal might feel discouraging. Writers sometimes report generating a ton of words, but that the quality feels lacking. 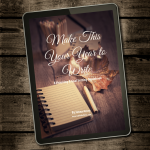 If you do decide to go for it — and I hold no judgment either way, in writing it’s all about what works for YOU — here are some ideas that might help you along the way. Design your month around the effort. This could look like cutting back on extra activities, getting extra childcare, taking some time off work, etc. Really think about how you can make it EASY to meet this big goal. Be crystal clear about when you’re scheduling your writing time so there’s no doubt about when you’ll do it. Get out your calendar for the entire month and map out when you’ll be spending the 1.5 to 2 hours you’ll likely need each day. If you’re not a “panster”, work on your outline for your project NOW so you can start writing when the clock starts ticking. Even if you just map out the major story beats, you’ll have something to swim toward when you’re out there in the ocean of words you’re about to dive into. Get lots of non-writing support for the rest of your life like bill-paying, grocery delivery, etc., or work on getting things in order now so you don’t have to be distracted by them while you’re neck deep in writing. Use timed writing sprints to help you write briskly for your daily writing goals. It has the added benefit of teaching you how long it takes you to write a certain number of words as well, so you’ll know if you need to adjust how much time you’re setting aside for scheduled writing time in #2, above. Plus you can use the sprints to break up the longer chunks of writing so that you get up and stretch between sessions. In the Writer’s Circle we usually write in 60 minute sprints, but a good sprint can range in length from 15 to 90 minutes. Find what works best for you. Be mindful about your self-talk and keeping it as encouraging and self-supportive as possible. Notice any negative self-messages that come up and find a way to reframe them into a more positive perspective. Pay attention to how it’s feeling and working for you. There are no rights or wrongs here, no failures. You may want to experiment with challenging your own comfort zone or you may find that this is a method that doesn’t work for you. It’s ALL useful information that will only help you going forward. Have a support system outside NaNo like the Writer’s Circle or a writing buddy to cheer you on and help keep things in perspective. If you’re struggling, get help and support. You don’t have to do this alone. Celebrate! When the end of NaNo rolls around, one way or another, celebrate. If you met the goal, great! Celebrate it. If you didn’t meet the goal, make sure to celebrate the attempt. Rest! Once you’re done, take one to two days off after NaNo and really enjoy it. Write! Then, start writing again. Make a plan for how you’ll keep writing after NaNo. This could look like keeping up the same pace if it worked for you or adjusting it up or down to find your new happy medium of accomplishment, sustainability, and attainability. You may find that you want an extra easy writing goal for the first week after the big NaNo push, which you can then reassess and adjust as needed. What NaNoWriMo tips and suggestions would you add?